Dr. E is The BEST. 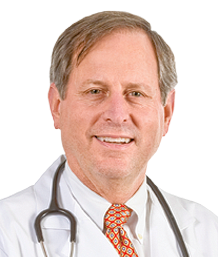 John Eichelberger is an excellent physician with great skills! He is not only extremely competent, but very caring and readily available. I have been fortunate enough to know Dr. Eicheleberger since the 1970's when he dated my oldest daughter while both were in high school. When my family doctor of twenty years retired I immediately requested Dr. Eicheleberger as my family physician since I knew he was a 5. He is not only extremely competent, but very caring and readily available. He is truly a wonderful Doctor. Dr. John is always available to answer questions concerning my health and well being. During my visits with him he is very focused and as well as being personal. He always ask about my family and how they are doing. He is truly a wonderful Doctor. Dr. Eichelberger is the very best. Dr. Eichelberger is the very best. He has been my primary care physician for many years, and is the ultimate professional in every way. He truly cares, and is extremely knowledgeable of current state of the art diagnostic and treatment information. His wisdom and medical care have kept me healthy, and this has provided me with a most comforting peace of mind. Dr. Eichelberger is very warm and caring. Dr. Eichelberger is very warm and caring. He is very dependable, professional and an all around MDVIP!!! I have the highest regard for him as a doctor and friend. ALL about us and is ready to assist to keep us as healthy as possible.